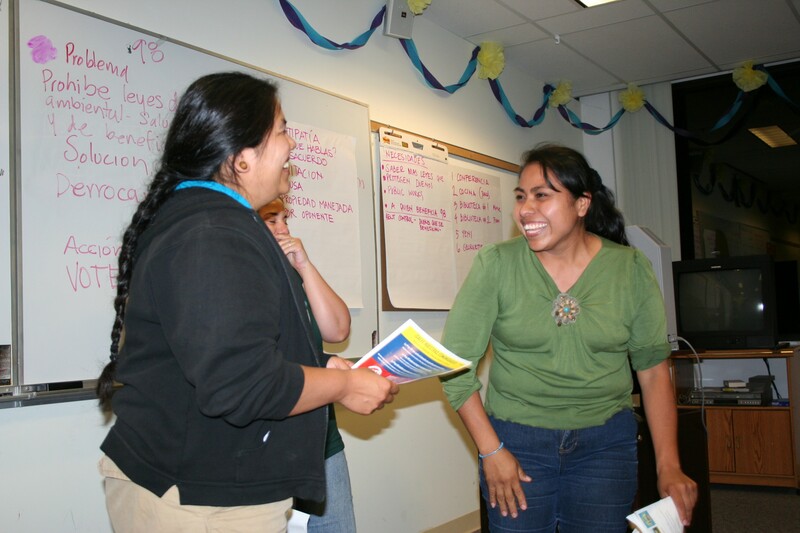 RoadMap’s mission is to strengthen social justice organizations and the social justice sector through capacity building, peer learning and field building. Developing transparent and democratic institutions grounded in human rights and anti-oppression principles. Supporting the development of innovative, principled, inclusive and high-impact organizations, alliances, and movements to make long-term change. Fostering the leadership of individuals with lived experiences, fully embracing their insight and depth of knowledge to think systematically and generationally. Promoting healthy, sustainable organizational practices including building leadership at all levels. Embracing a spirit of experimentation, risk-taking and innovation, necessary to creating a new and better world. Maintaining high standards of accountability to the organizations we work with and the constituents and/or communities they serve. Actively nurturing the mind, body and spirit as a way of sustaining healthy individuals, organizations and movements. Read more about what makes RoadMap different. We envision a social justice sector made up of groups that have the power to have a transformative impact upon our society. 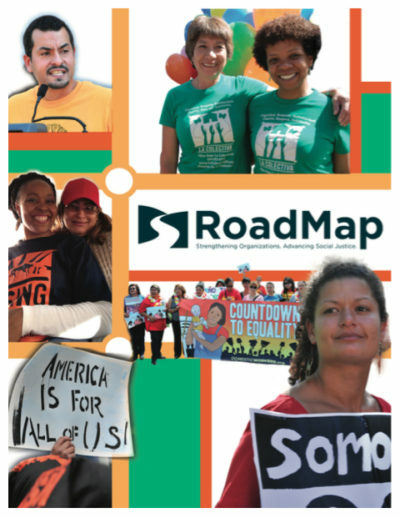 One of RoadMap’s unique characteristics is that we are a network of social justice minded consultants with a wide array of experiences, areas of expertise and approaches to capacity building. Our clients benefit from being able to select from a highly experienced and very diverse consultant pool that shares their social justice values. Our efforts to match the client with highly skilled consultant options, also means clients can do their own “chemistry check” and feel complete ownership of the process. A holistic, integrated approach that helps connect the dots between all parts of an organization’s practice and strategy. Continuous reflection and evaluation of our work to ensure alignment of goals, quality of services and overall client satisfaction. RoadMap Consultants Conduct Site Visits Before Developing a Scope of Work: Getting to know the key individuals within the organization, building trust and rapport, observing the organization in action and having honest, face-to-face conversations will assist the development of a tailored Scope of Work that speaks to the needs and conditions of the organization. RoadMap Consultants Conduct Regular Check-ins To Ensure the Work is On Track: Every 6-8 weeks, consultants and clients will discuss how the work is going and reflect on what you are learning together. Some questions to consider include areas of growth and victories to celebrate, how the engagement is supporting a more impactful organization, how can the advances be sustained and what skills or strategies do we need to deepen work? Communication with the Director: OD engagements rarely go as perfectly as originally planned, and different conditions may require adjusting the timeline, using different strategies and sometimes modifying the scope altogether. RoadMap consultants will discuss these issues with the Director at the first sign that there may be a substantial challenge or major new development in the work. The Value of Mid and End Point Evaluations: In addition to regular check-ins, RoadMap conducts mid-point and end of engagement evaluations to assess more fully the project outcomes. These evaluations are shared with the Director who can provide additional support and feedback in order to assess if the work is on track and/or if adjustments need to be made. Get Agreement on the Need for Course Corrections, Addressing Delays and Modifying the Scope: Excessive delays can impact the overall quality of the work (e.g., lack of follow through and critical momentum, inconsistent application of strategies, organizational confusion or frustration). Given the challenge of time-limited engagements, it is important to address organizational patterns of inactivity or lack of prompt follow through and assess and agree to whether the Scope of Work needs to be adjusted. RoadMap Consultants Track and are Mindful of the Budget: RoadMap consultants will regularly track hours worked/billed and review the periodic budget updates provided by RoadMap, in order to stay on track with meeting the requirements of the engagement.